Most people think bananas are the high potassium food, but it may surprise you to learn that mushrooms out rank bananas on the potassium chart. Potassium helps the body process sodium and lower blood pressure. So people with hypertension or a high risk of stroke can enjoy tremendous health benefits from a regular dose of mushrooms in their diet. All mushrooms are an excellent source of the antioxidant Selenium which works with vitamin E to protect cells from damaging free radicals. Some studies also indicate that antioxidants are some of the best nutrients for preventing and fighting cancers. Like almonds, mushrooms are becoming more popular for their cancer-fighting and disease protecting properties. 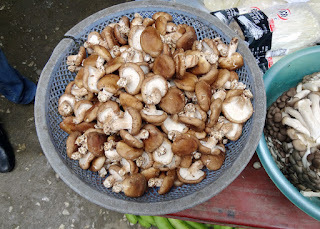 Shitake mushrooms in particular are also high in the beta-glucan Lentinan. Lentinan has been linked with strengthening the immune system and helping combat illnesses that attack the immune system like AIDS. 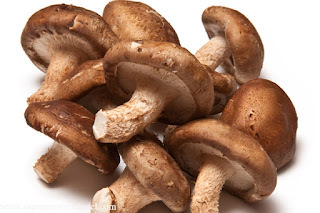 In addition, mushroom extract has been linked to some treatments for both migraines and mental disorders. The human metabolism relies on a healthy dose of protein, fiber and vitamin B to keep it functional and robust. 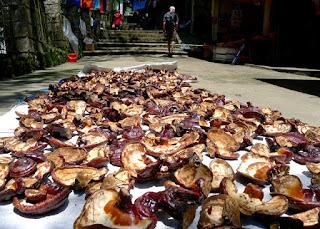 Mushrooms rank high in all three of thesemetabolism-supporting nutrients. Copper is one of the less talked about minerals that is essential to the body, but that the body can not make on its own. Copper has properties that help protect our cardiovascular system, and just one small serving of mushrooms contains more than 20 percent of the copper we need daily. With our fast-paced lifestyles and the highly processed foods we may frequently find ourselves eating in haste, the magnesium, potassium, phosphorus and selenium nutrients found in a single dish of mushrooms can really make up for some of the deficiencies we struggle to combat in our diets.